BJJ Graphics was founded by, Guto Braga. He has been practicing Jiu-Jitsu for over 24 years, starting at Gracie Barra with Jean Jacques Machado and then merging to Carlos Gracie Jr. after the unification of the academy. He had the plesure to train with the best fighters in the business, Renzo, Ralph and Ryan Gracie, Roberto “Gordo”Correa . Rafael “Gordinho” Correa, Roberto “Roleta” Magalhaes, Alexandre Soca, Vinicius Draculino, Daniel Simoes, Helio Soneca, Nino Shembri, Ricardo Almeida, Ricardo Americano, Bruno Severiano Ribeiro, Duda and hundreds of other ones. 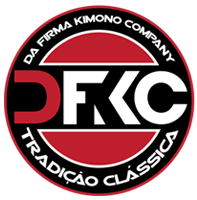 He received his brown under Carlos Gracie Jr. before he left Brazil to live in the US and now he train with Daniel under Renzo Gracie Philly flag, where he received is Black Belt. We at Gi Soap are bringing you the best ingredients to clean, protect and refresh your skin, the natural way. We do not use any harsh chemicals in our products and almost everything is Vegan and Eco friendly. We want to keep you training, competing and playing harder by keeping your skins impurities free, the natural way. Jiu-Jitsu Magazine was founded in early 2011 with the specific goal of informing, educating, and entertaining those practicing Brazilian jiu-jitsu at every level. Initially launched as a print only publication we’ve expanded into the digital realm with a fully functional Apple iPad edition, YouTube channel and one of the most active Facebook pages in the world of jiu-jitsu. Jiu-Jitsu Magazine is the most well distributed jiu-jitsu publication in North America, and can be found at retail chains such as Target Stores, Walgreen’s, 7-Eleven, Barnes & Noble, Publix, Safeway, Food Lion, Chapters, Books-A-Million, and hundreds more. The philosophy at Dominey Photography is that documenting any aspect of modern life can – and should – be done in the spirit of that life: a celebration of experience, rather than merely proof of existence; invested with movement, vigor and drama. I would like to photograph you as you engage in living: in an environment, profession, activity or relationship that is important to you; or in the studio and the inner world of your imagination as you inhabit the role of the object of attention. My photography is an effort to capture any aspect of your life or business artfully in images that will endure and become the icons of your own experience: images that aim to show who you are. Not just where you were or that you were here. Provides the most comprehensive seo & search engine marketing solutions and website design & website development packages at the most economical price. We accomplish this with a combination of business philosophy, experience and ethics. In the industry since 1995, we can help.